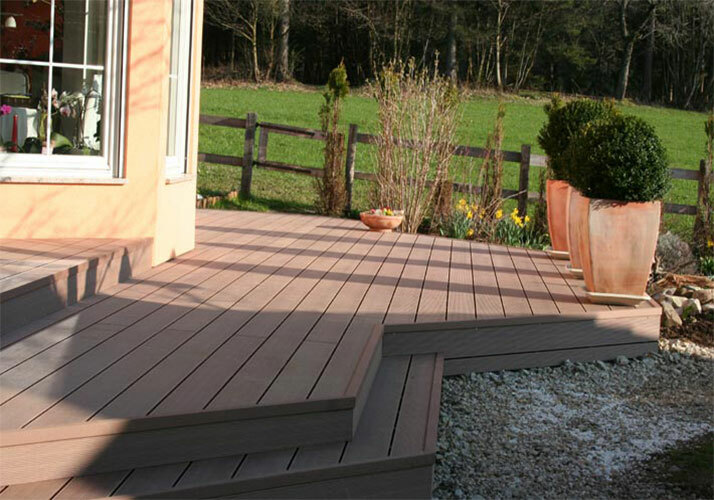 Ecological wood plastic composite decking in China is new decorative materials, but has been popular in Europe for many years. It use wood powder and PVC powder as the main material, the special processing technology of a wood plastic composite material, which can be part of the alternative wood, plastic, steel, in some use of the environment has more advantages, is widely application in the construction, landscape and engineering decoration and other industries. Currently is popular areas including architectural decoration and home decoration in the wall panel decoration, flooring and ect. Many people may still wonder how to pavement of ecological wpc decking, in fact, its pavement process and the wooden floor similar to the need the keel, all by the professional workers to operate the implementation. Ecological wood plastic composite decking is the middle and high-end products, the most important is environmentally friendly, very suitable for high-end home improvement, And different from solid wood and composite wood is, wpc decking as a new composite material, it has more suitable for outdoor decoration features, With green, ecological construction “concept, wpc will become more and more popular.